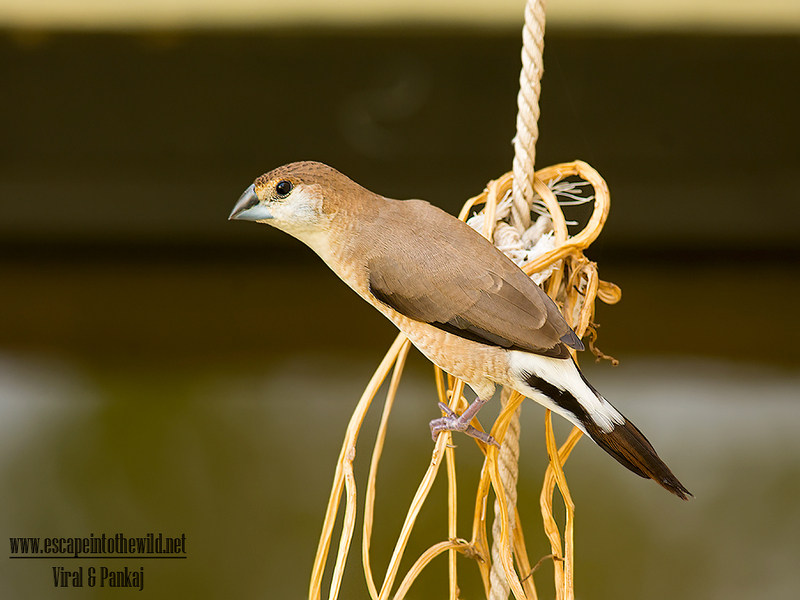 The Indian Silverbill or White-throated Munia (Euodice malabarica) is a small passerine bird found in the Indian. Once we saw them using the nest of Baya Weaver for roosting. Then after we saw them many time. One evening, after coming back to home from my college, we saw a pair of Indian Silverbill behind glass window of our living room. They are busy in fighting with own reflection in glass, pecking restlessly. Indian Silverbill is regular visitor to our campus but after renovation, there are not visiting the place often. So naturally, I seize this opportunity and capture some real close shots of Indian Silverbill.